This weekend unfold the last Summer days. For that noble reason.. there will be Children activities everywhere. I know is quite impossible to stay at home with this BEAUTIFUL sunny weather in Lowerlands to go online hunting all this. Days like these make all our wireless-modem-hub-notebook paraphernalia worth every single euro spent on it, by my beloved husband. So I would say.. get up (see… I’m a lovely polite lady.. not to say get your *ss off the sofa.. hehehe) dig out that fruity rose wine left to cool down till kids knocked out in bed.. Grab a comfortable chair out of the house, your notebook and go for it! have you all a very weekend !! 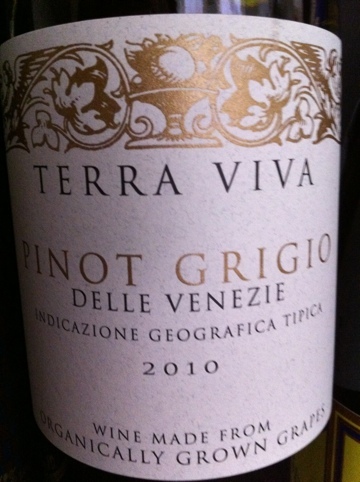 * An Italian organic white wine, Terra Viva, Pinot Griggio Della Venezie IGT. It’s perfect when chilled for these warm evening dinners outdoors. It doesn’t matter whether will be green salad or BBQ on the plate, your glass will be content.